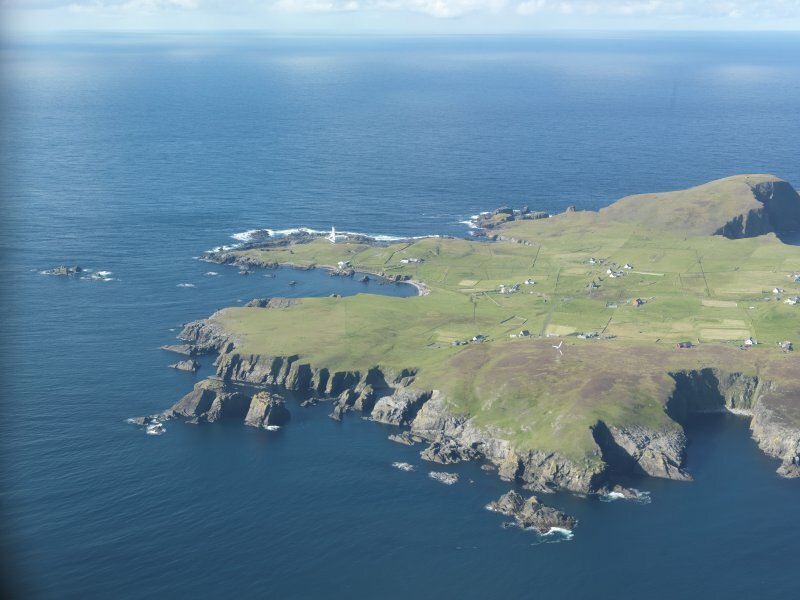 General oblique aerial view of Skadan Lighthouse, Fair Isle, looking N.
Oblique aerial view of Skadan Lighthouse, Fair Isle, looking SW.
General oblique aerial view of the Fair Isle, looking NW. 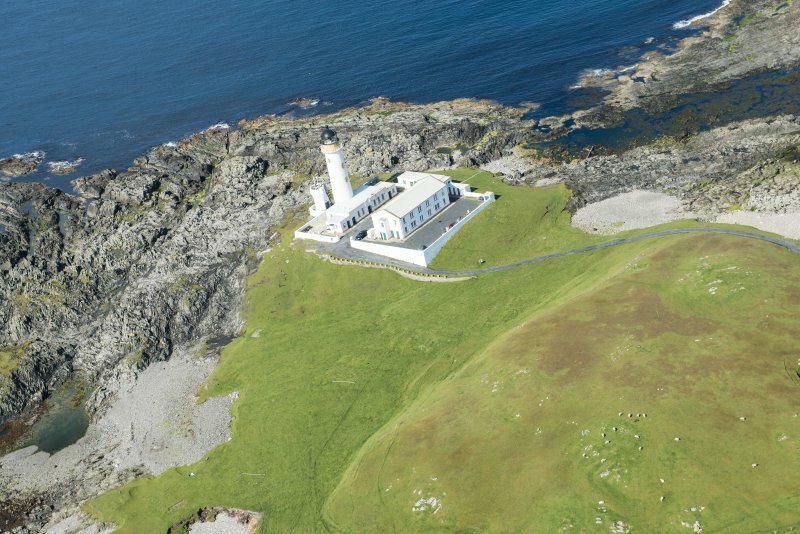 Not to be confused with North Fair Isle (Skroo) lighthouse at HZ 2213 7407, for which see HZ27SW 185. 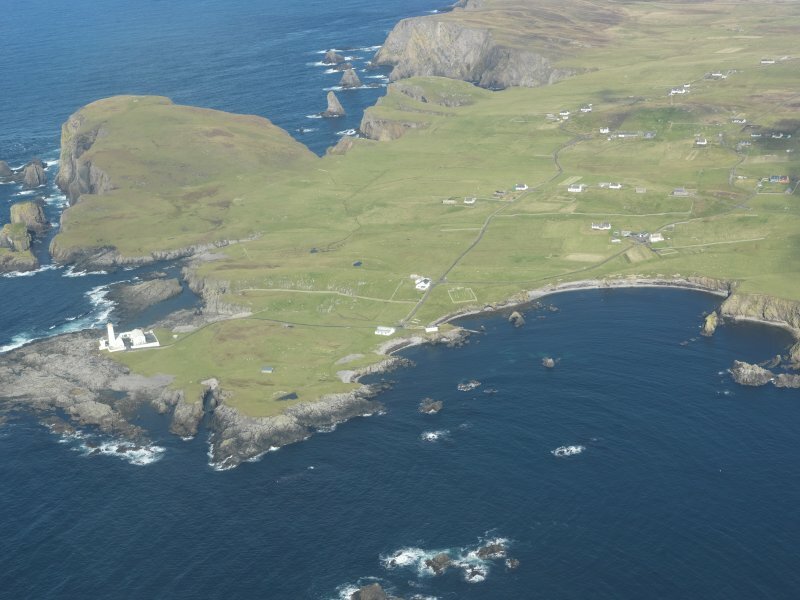 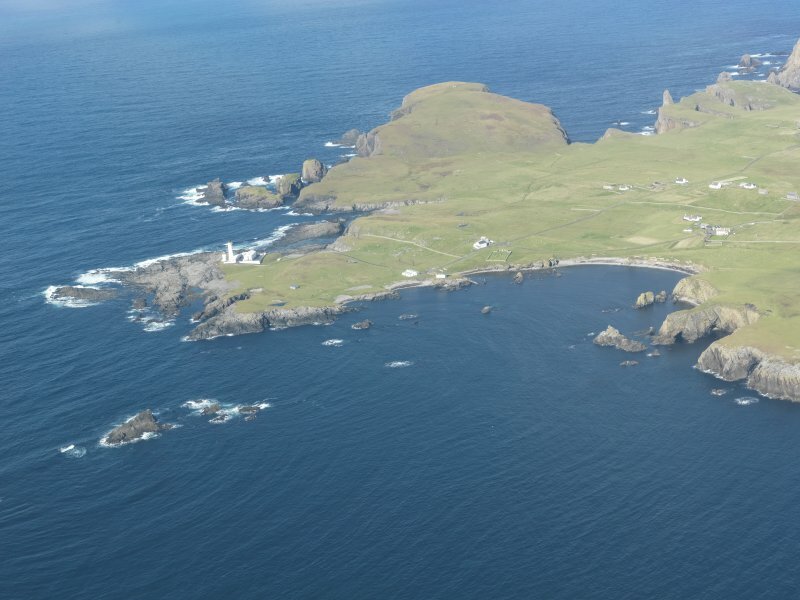 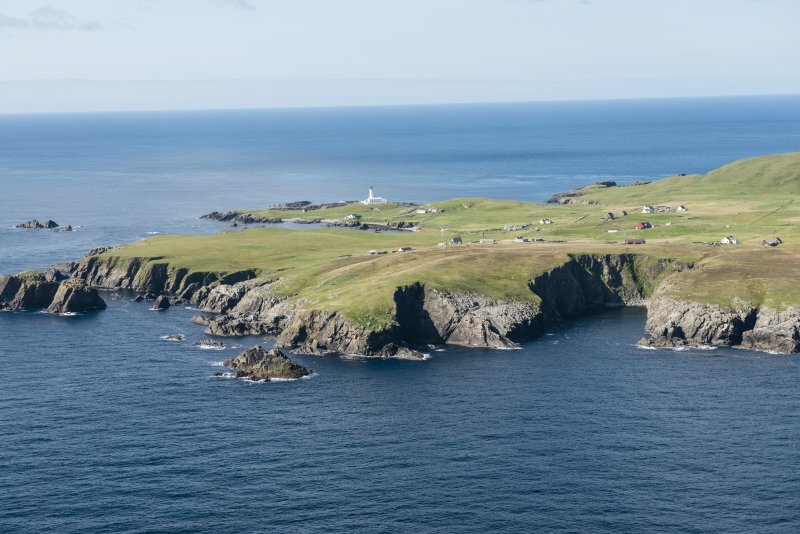 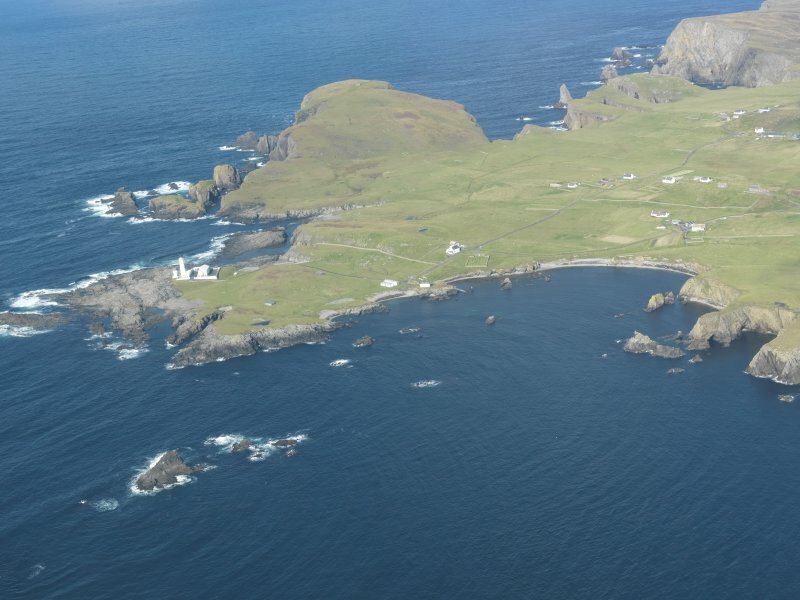 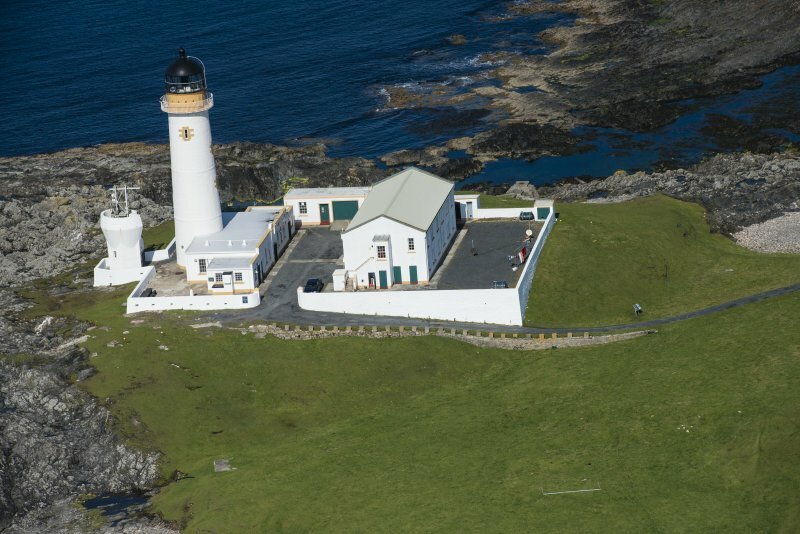 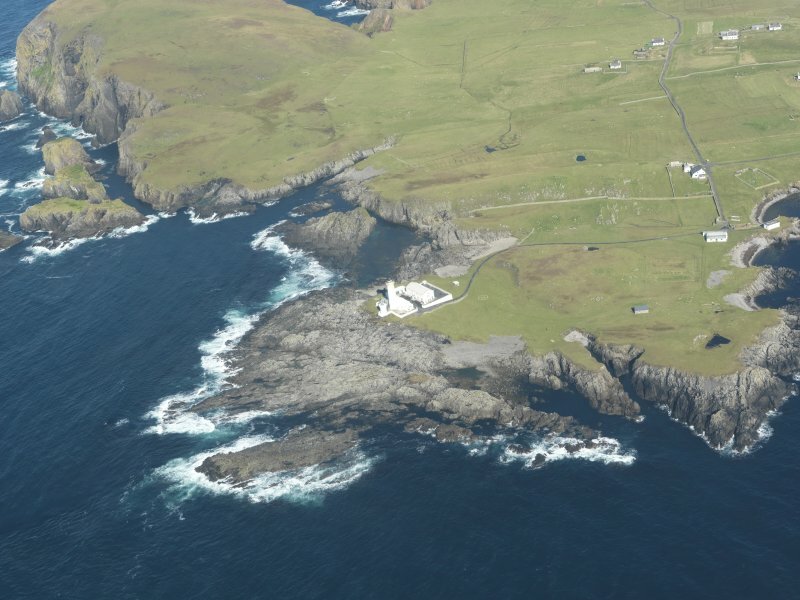 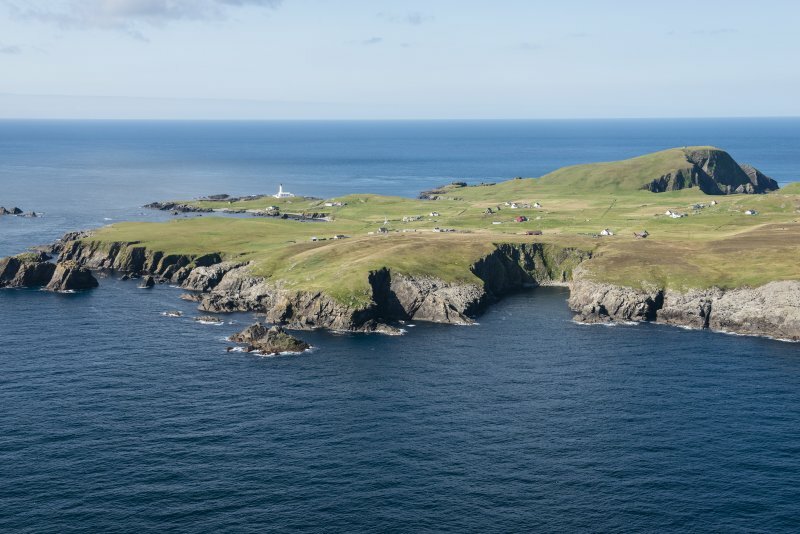 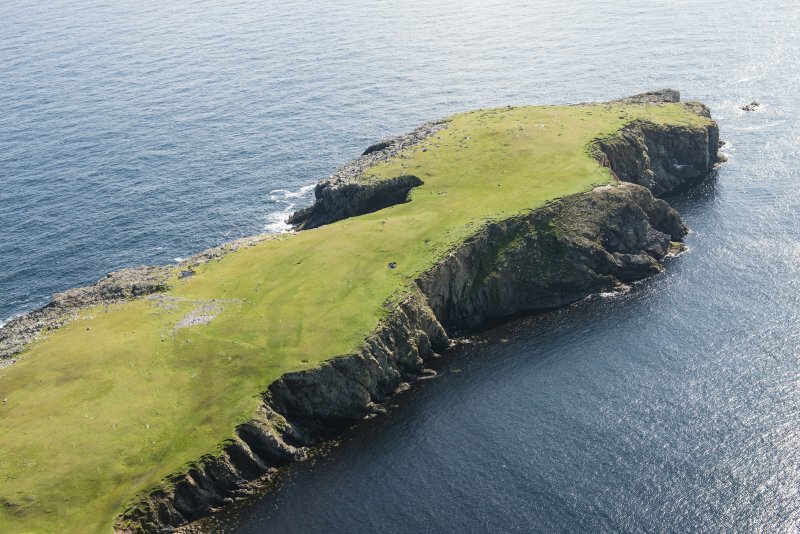 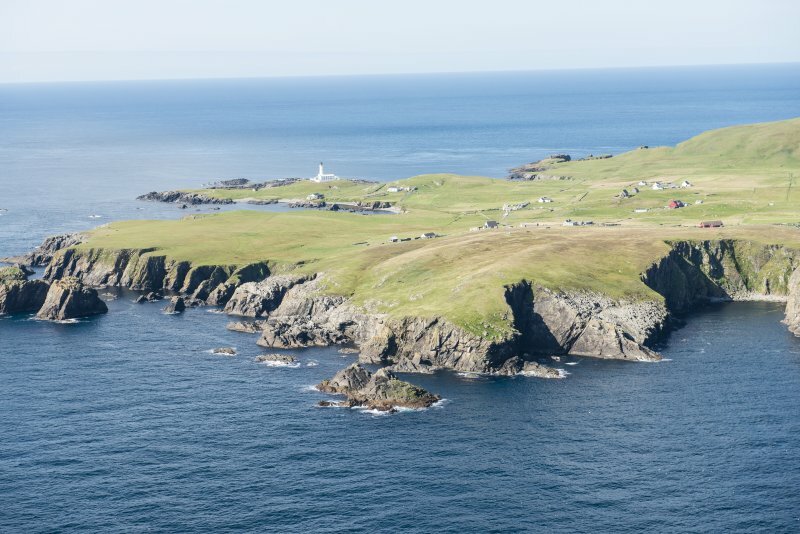 (Location cited as HZ 222 741 and name as South Fair Isle Lighthouse). 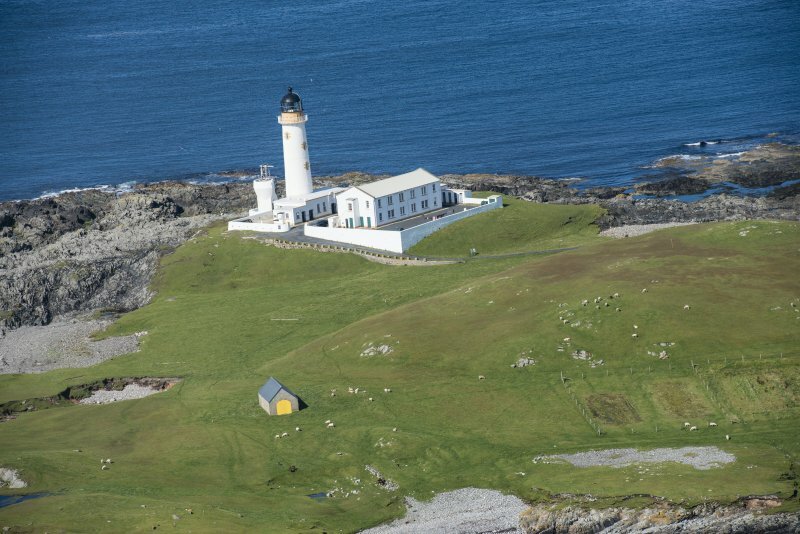 This lighthouse is similar in construction to that at the N end of the island (HZ27SW 185), and was, like it, built by D Alan Stevenson and completed in 1892. 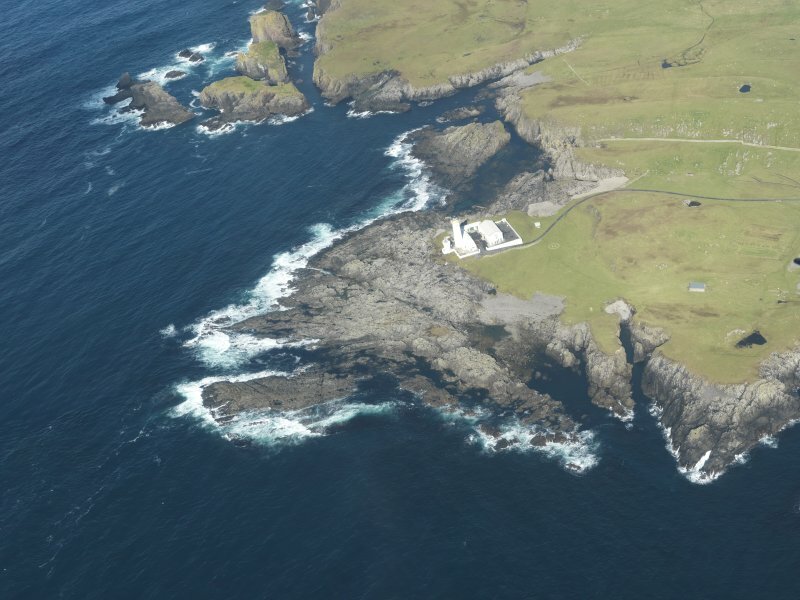 Machine gunned by German aircraft, killing the wife of lighthousekeeper ALK Sutherland. 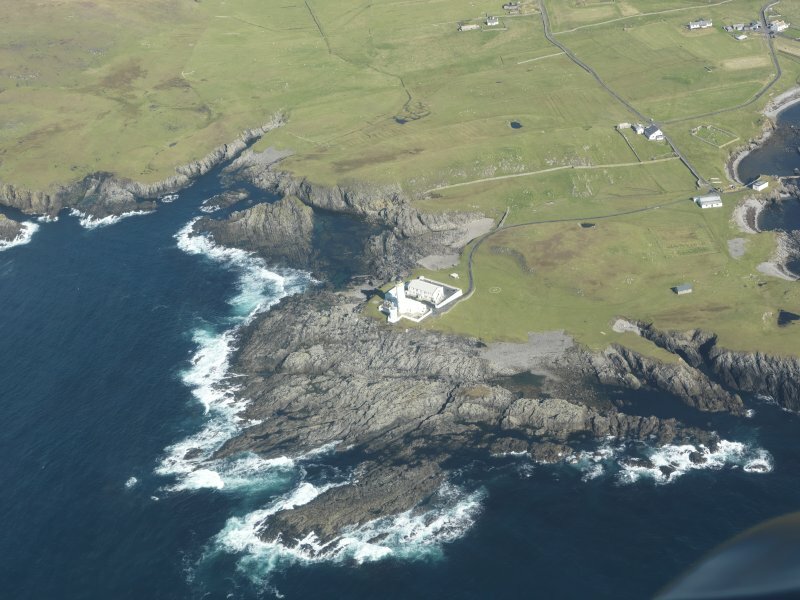 Six weeks after the tower was machine gunned by German aircraft, the keepers' houses were bombed killing the wife and daughter of P L K Smith. 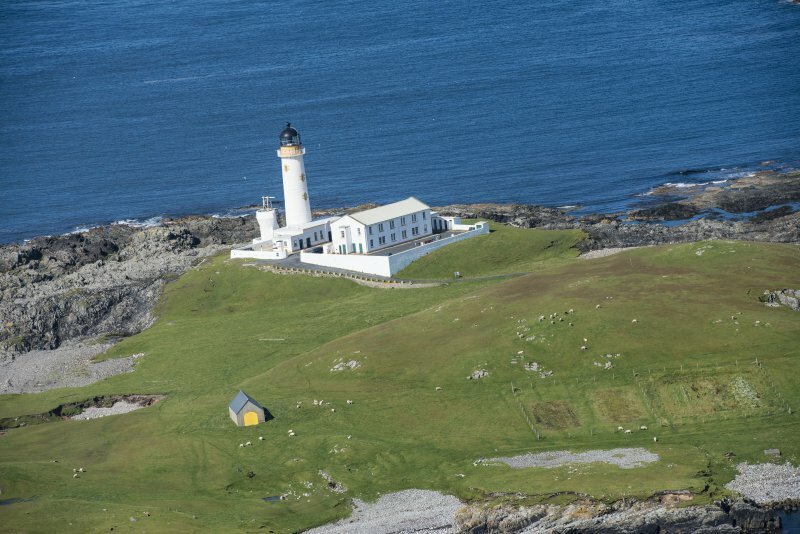 The last Scottish lighthouse to be automated in 1998.